Access All Areas members have a unique graphics pack to download this week, courtesy of Fox & Bear. These gold painted leaf images are perfect for creating elegant artwork for social media, invitations, greeting cards, wedding stationery and more. It includes a total of 43 high resolution PNG graphics with transparency, comprising of a variety of leaves and twigs, as well as an updated collection of tropical themed palm leaves. 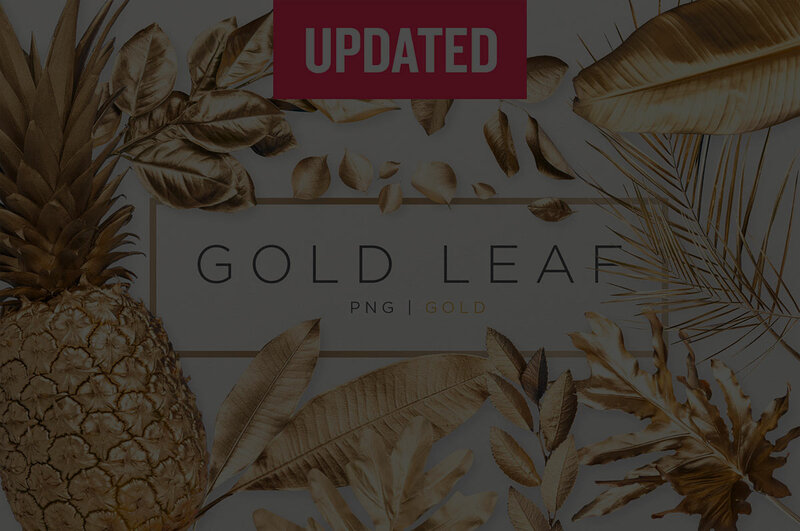 Each of the gold leaf graphics is supplied in PNG format, with the subject already clipped and saved with a transparent background, making it quick and easy to copy/paste the assets into your own artwork and stack the layers. Ooh I love those effects. These gold leaves are amazing. Thank you! Ooh! I love the gold effect! Awesome! Thank you to Fox & Bear and to you!